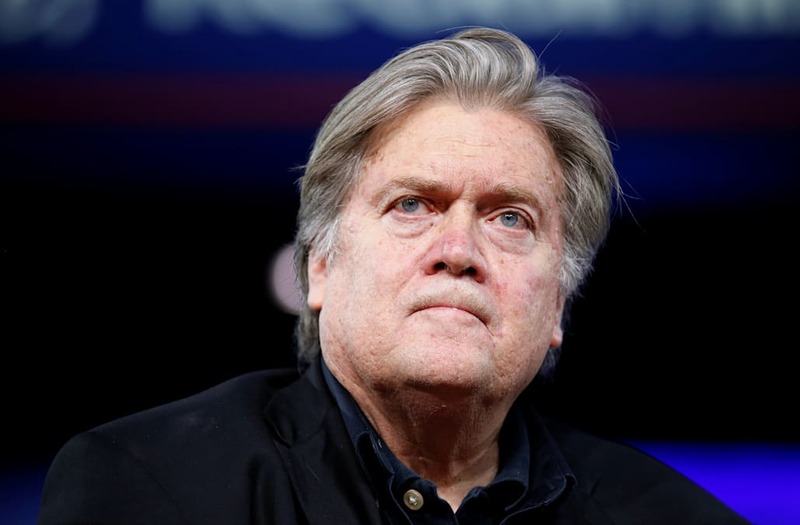 Ousted White House chief strategist Steve Bannon is gearing up for battle and has set his sights on President Donald Trump's son-in-law and senior adviser, Jared Kushner, according to Vanity Fair. Bannon and Kushner have a long history of disagreement, with the two frequently butting heads on the ideological plane, where Bannon's far-right nationalist instincts clashed with Kushner's more moderate views. In the wake of his ouster, Bannon is looking to even the score with West Wing rivals like Kushner, Vanity Fair reported. In keeping with that, Bannon reportedly wants former chief of staff Reince Priebus to testify to special counsel Robert Mueller that Kushner was significantly involved in Trump's decision to fire former FBI director James Comey in May. Comey's firing drew wide condemnation, and as accusations that Trump had fired Comey to obstruct an ongoing FBI counterintelligence investigation into whether his campaign colluded with Moscow in 2016 began piling up, deputy attorney general Rod Rosenstein appointed Robert Mueller as special counsel in charge of overseeing the investigation. Mueller's team has cast a wide net in its probe, looking at multiple Trump confidants like former campaign manager Paul Manafort and former national security adviser Michael Flynn. Mueller is also diving into the Trump family's finances and business dealings, including Kushner's. The White House has said that Kushner's subsequent meeting with Sergey Gorkov, CEO of Russia's state-owned Vnesheconombank, was unrelated to business matters. But the FBI is looking into whether Gorkov suggested to Kushner that Russian banks could finance the business ventures of Trump's associates if US sanctions were lifted or relaxed. Kushner met with the Senate Intelligence Committee in late July and told reporters afterward that he "did not collude" with Russia during the election and added that he had "nothing to hide."